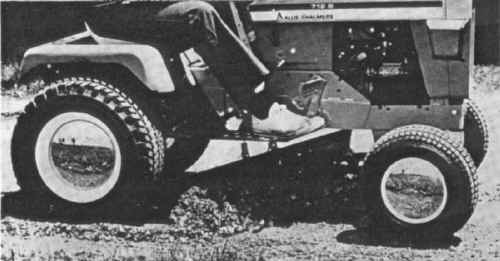 The grader blade also attaches to the front axle and follows ground contour very well. !t can be adjusted 20° left or right and is raised by the tractor lift system. Maximum clearance is 3" and it weighs 74 lbs. 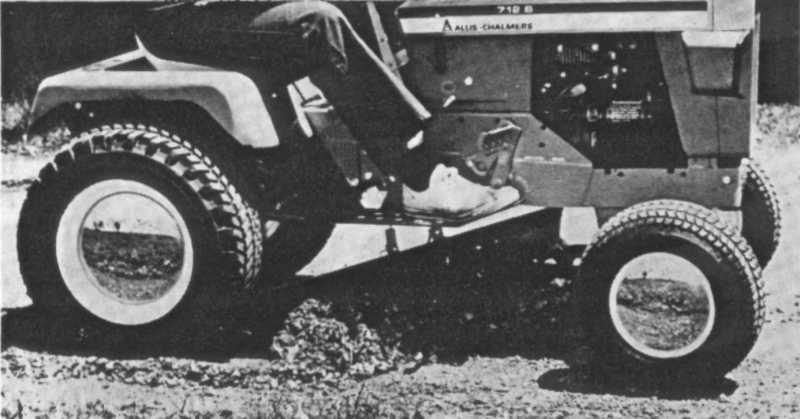 For best performance, front and rear wheel weights are suggested.